In the early 90s, Super Mario Bros were king. I don’t know anyone that didn’t love Super Mario Bros. or any of the sequels. A movie was made called “The Wizard” that was really an infomercial for Nintendo and their products, and the centerpiece of the movie was a video game competition that showed the first footage from Super Mario Bros. 3, which both blew our minds, and showed us how to get the first warp whistle in the game. 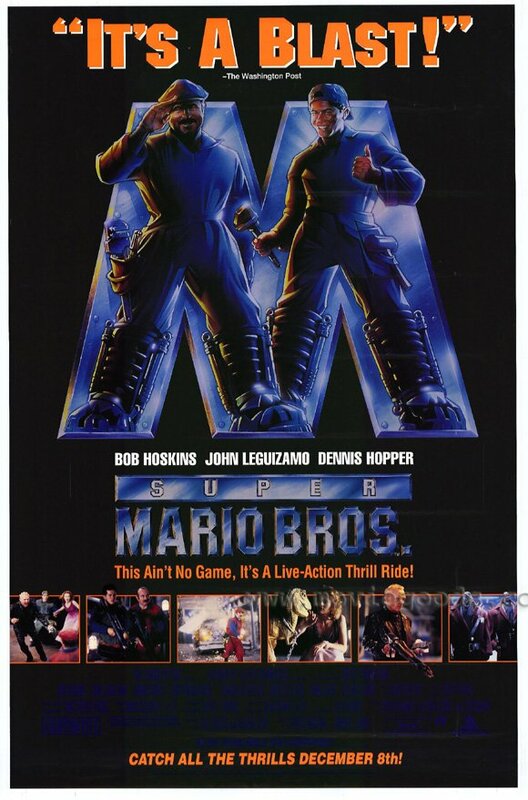 All of this is to say that a movie version of Super Mario Bros. seemed to be a good decision, financially speaking. But just because a movie is a good bet to make money, doesn’t mean that is a good decision to make that movie, as this movie clearly shows. The first problem with this movie comes from its very inception. Super Mario Bros. themselves do not translate to film. Certain games like Tomb Raider or Mortal Kombat, have stories that could translate to film, but there really is not much story in your typical Super Mario Brothers game. I’ve always wondered why Nintendo decided their first foray into live action films should be Super Mario Bros, when Legend of Zelda was right there. At the time, fantasy films weren’t that popular, but that would have been an easier job to transform into a film. With Super Mario Bros, what’s the story? A princess is kidnapped by a dinosaur like creature, two plumbers go to rescue her and fight evil turtles and mushrooms along the way. What story is there in that? Well to Hollywood, as long as there is the promise of money, who cares? In going back to this movie for the first time in at least a decade, I had many negative memories from childhood. In revisiting the movie many years later, all of my memories were confirmed. This is a very bad movie. Watching it felt like a screenwriter was handed a list of terms from the Mario Bros. games, and shoe horned them into an unrelated screenplay that no studio would make unless it had a brand name attached to it. How this movie was made, and anyone thought that fans of the game would love it, is something I will never understand. 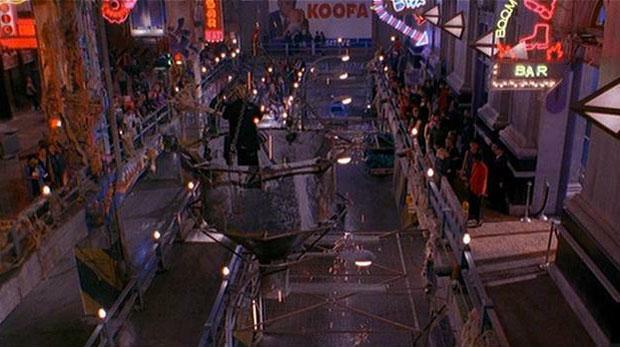 You would think that a Mario Bros. movie would be aimed at children that were playing the game, but nope. The movie they ended up making is a dreary, dark mess that looks more like Blade Runner than a Nintendo game. See if you can make sense of the plot of this movie. When a meteorite crashed into the Earth 65 million years ago, it didn’t kill the dinosaurs, it created an alternate dimension where the dinosaurs evolved alongside man. When a baby is brought into our world with a fragment of a meteorite with it, a dictator named King Koopa sends his minions to retrieve the shard, which when inserted into the meteorite, will unite the universes, allowing Koopa to take over the world. What kind of nonsense is this? When I first saw the movie, I was stunned. I don’t remember what I was expecting at the time I first saw it, but I know it wasn’t this. 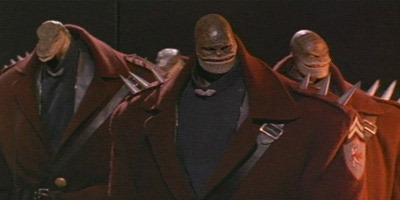 I can think of no better metaphor for the treatment of the game by the movie than the Goombas. 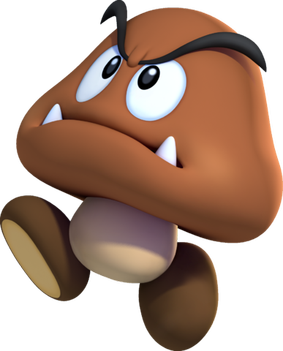 In the video game they were small evil mushrooms that you jump on to kill. In the movie they are tall creatures with tiny lizard heads, pretty much the exact opposite of the video game. I mean why even bother to name them if they don’t resemble the video game characters at all? Throughout the movie, names are mentioned from the video game. What the filmmakers didn’t understand that just throwing names of characters like Daisy,Toad, Iggy, and Spike around didn’t make the fans happy, it just highlighted how far away from the games this movie was, making the fans angrier. There are only a few positive things in this movie. 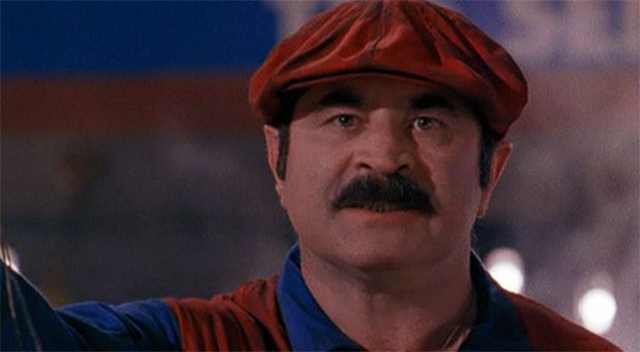 Casting Bob Hoskins was a great move. His performance is the highlight of the movie. You can see him trying to make it work, even while he admitted in the years following that it was the worst movie he ever worked on. I liked the design of Yoshi, one of the few things in the movie that actually resembled their video game counterparts. I admit that I enjoy Dennis Hopper in this. It’s like he realized the movie he’s in is horrible, so he felt free to go as over the top as possible. There is one joke that works, where the fact that they are called the Mario Brothers and Mario and Luigi share the same last name comes up. That’s really not much, but with a movie like this, you have to take the good wherever you can find it. My main thought from this viewing is that it should not have been made in the first place. The idea that a live action movie can be made out of this property is insane, the premise doesn’t work in live action. What could potentially work is an animated film. Seeing the rise of computer animated films, I think that is a venue where a Mario Bros. movie could succeed. The colorful visuals and 3 dimensional space would work perfectly in an animated film. It would better replicate the experience of playing the game, with their bright, colorful visuals that didn’t have to be bound to reality. At this point anything would be better than the movie that was made in the first place, so I think another try is inevitable at some point in the future.